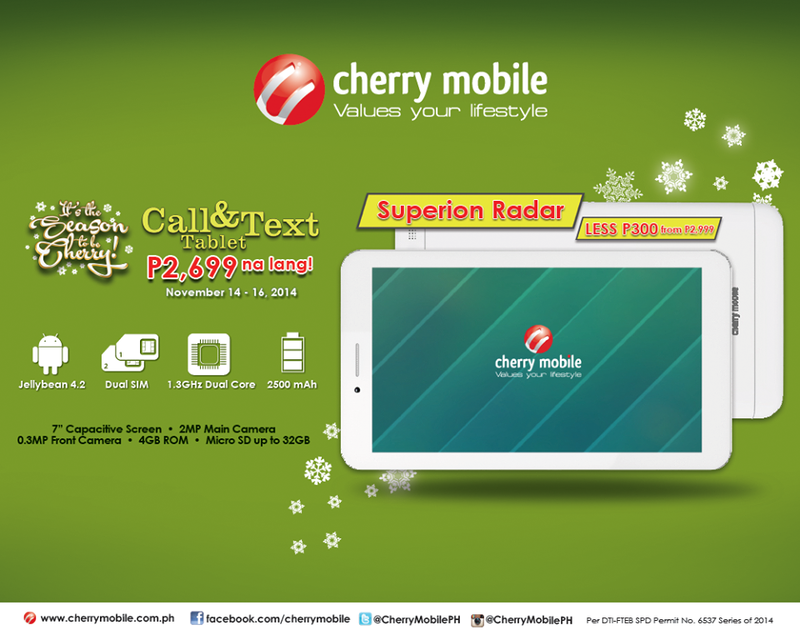 Cherry Mobile announced that they will cut the price of Superion Radar on November 14 to 16, 2014. According to their post, consumers can avail the " Call and text dual-core tablet" for Php2,699 from its original price of Php2,999. The sale is available at participating Cherry Mobile concept stores, kiosks, and accredited dealers nationwide.